Under the new Cancun Agreements, endorsed at the end of the UN climate change talks in Mexico, countries have been asked to submit their views on the possible development of a climate and disaster risk insurance facility. The one to emulate would be the Caribbean Climate Risk Insurance Facility (CCRIF). The not-for-profit scheme created in 2007 for the 16 members of the Caribbean Community (CARICOM) offered quick pay-outs and comparatively low premiums, said Sven Harmeling, an adaptation expert with Germanwatch, a non-governmental lobby group. When Cyclone Tomas passed by the islands of Barbados, St Lucia, and St Vincent and the Grenadines on 30 and 31 October 2010, the CCRIF released US$12.8 million to the three countries only seven days later. After a magnitude-7 earthquake struck Haiti in January 2010, the country received just under $8 million - approximately 20 times its $385,500 premium for earthquake coverage. Haiti’s policy allocated only 20 percent to earthquake risk, as the island country, like others in the Caribbean, placed greater emphasis on hurricane cover. 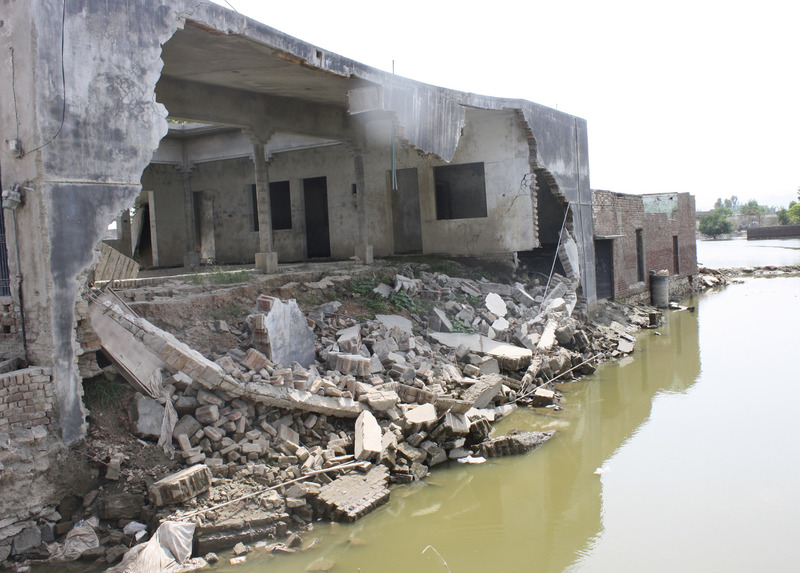 In contrast, when floods hit Pakistan in July 2010, “donor hesitance” affected the flow of emergency aid, whereas an insurance scheme could have made life-saving funds available within days after the disaster struck, Harmeling noted. CCRIF is owned by a multi-donor trust, started with seed money from the Japanese government in 2007 with the aim of providing liquidity to the Caribbean countries, which are very vulnerable to hurricanes, the head of CCRIF, Simon Young, told IRIN in Cancun. Donors including the European Union, Canada, the UK, France, the World Bank, the Caribbean Development Bank, Ireland and Bermuda pitched in with $65 million, and CARICOM members set aside $20 million towards the facility. Each Caribbean member country also pays an annual premium ranging from $200,000 to $3 million, depending on the extent of their cover. The CCRIF uses a model calibrated against natural disasters and related losses in the past to evaluate risk and payout. Young pointed out that CCRIF was the first fund to use parametric insurance, which does not indemnify total loss but always makes a payment after a catastrophic natural event. Administration costs are also lower because long expensive assessments of actual loss are avoided. “By pooling the risks of its members, the CCRIF serves as a risk aggregator and can thus provide insurance coverage at a comparatively low premium,” said Harmeling. Donor support for such regional catastrophe pools would not be hard to come by, a senior EU official told IRIN. Albert Bright, the scientific advisor to the Alliance of Small Island States (AOSIS), whose members are also vulnerable to tropical storms and sea-level rise, said they were very keen on having a similar facility for their region. The CCRIF model cannot provide cover for slow-onset events such as sea-level rise, and Young said they would have to tinker with various models to suit the purpose. Experts said there would certainly be developments on this front at the next round of informal climate talks ahead of the formal meeting to be held in November 2011 in Durban, South Africa.